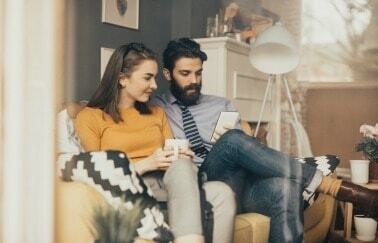 This week’s wrap-up of news around the market includes homeowners who are cashing in on pulling equity out of their homes, particularly the Millennial generation. When your clients are ready to move, we’ve got some tips you can share to help keep it a low-stress operation. Should you wear your political beliefs on your sleeve? Find out why townhomes are gaining in popularity among builders and buyers. Got writing skills? We’ve included some tips to help you out. Millennials are not only buying more homes, but they are tapping into their home equity faster than other buyers. This conservative generation is using the money to renovate, and they are only pulling out a portion of what they could. Buying or selling is only a part of the home equation. Experts cite moving from one residence to another as one of life’s most challenging experiences. Here are some tips for your buyers and sellers on how to make the process go a bit more smoothly. One of the advantages of being a real estate agent is that there is some latitude in deciding who you want to work with—and who you don’t. Does this extend to their political beliefs versus yours? Should it? This article offers an interesting perspective that is highly relevant in today’s highly charged political environment. The National Association of Home Builders is reporting that construction of townhomes went up nearly 18 percent from 2014 to 2015. What’s behind the renewed interest in these attached single family homes? Good writing skills are more important than ever in our information-driven society. If you have never worried too much about your ability to write well, you are probably working under a real disadvantage. Improve your capacity to communicate with these tips for better writing.